Need to stretch your apps budget? 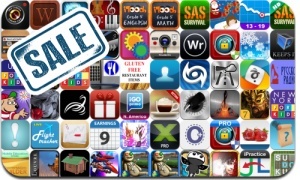 Here are 65 iPhone, iPad and iPod touch apps that just went on sale. This app deal alert includes Sudoku OneTouch, Stray Souls: Dollhouse Story, ProCamera, iPassSafe, Blazing Star, Christmas Story, Gamebook Adventures 7, Dead Raid, Gyro13, Jump and Fly, Haunted Hallway, Hurricane, and many others. Status: || Developer: SNK PLAYMORE || Version: 1.1 Ver.